Chocolate Pina Colada with an Almond Twist – Your Life. Your Hustle. Okay here comes the hard part – but it all in a blender and turn it on! Pulse until you get desired consistency. 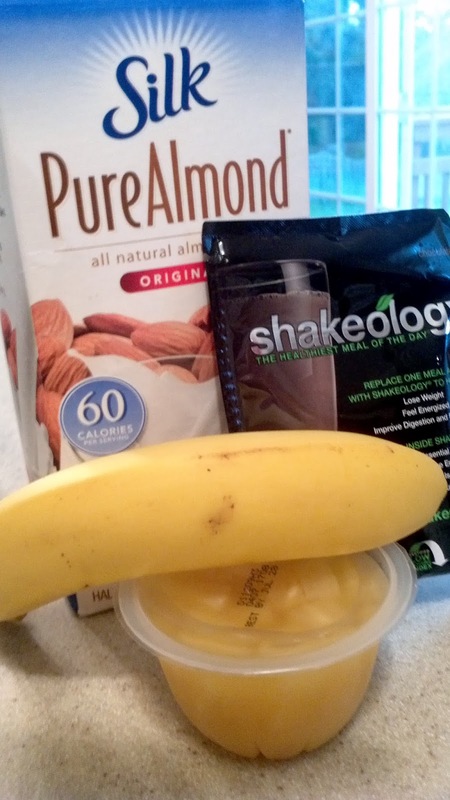 Please note that the banana makes this a pretty thick shake. If you want it not so thick then add more of the almond milk or even some water OR you can take out the banana all together or half it. Can’t really taste the pineapple so you might want to add two of the tidbit containers or skip it all together. Not a bad mix though. Decent amount of calories but they are good healthy ingredients! Yeah it was great! Love that almond milk! !